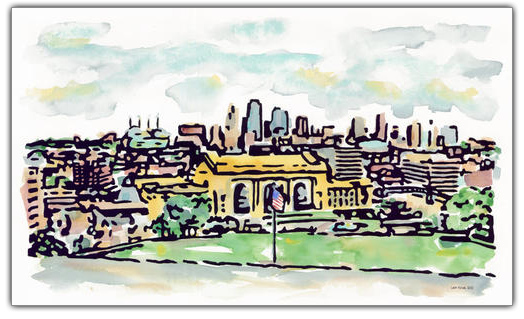 KCVLAA is a nonprofit, 501(c)(3) organization that provides legal and accounting assistance to qualifying artists and arts organizations from all creative disciplines. Our ArtSmarts program provides seminars in arts law to help artists avoid common pitfalls in their professional arts careers. ArtSmarts is an ongoing series of workshops focused on helping artists, arts organizations, and creative businesses learn how to better navigate potential legal issues. KCVLAA services enable arts clients to get their organizational "house in order" so that they can more effectively create and present their art. See our ArtSmarts Calendar for upcoming workshops. Many new arts related business think that a non-profit Corporation is the best business entity for them. Often, this is NOT the case. Let us provide you with a non-profit workbook & worksheets to review. After that, attend our non-profit formation workshop. If forming a non-profit is still right for you, KCVLAA can help you get started. Contact us for a non-profit workbook and worksheets. If you or your organization meets our financial qualifications we will refer your arts related case on to a qualified accountant or attorney. Apply now. If you do not meet the financial criteria for free services you can get a list of our volunteers who specialize in arts-related areas of the law. Contact us for a list.